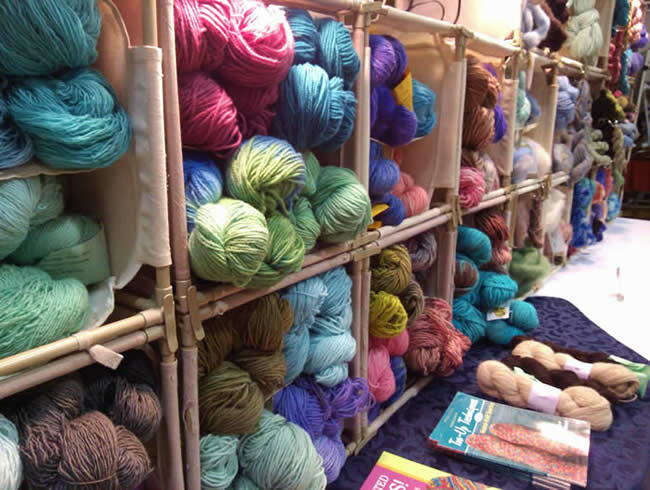 Heartland Fiber offers an enormous array of natural yarns with colors and textures for every knitting, crocheting, weaving or craft project you can imagine. Located in a renovated historic building on the west side of the Winterset square, they provide an atmosphere where knitters and crocheters can come in, sit down, have a cup of coffee, visit, knit and learn. Classes and events are frequently available, and they also offer Iowa wines and gifts “for the friend who’s not easily offended.” Check their website for more photos and details!